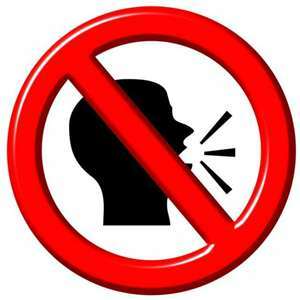 Attention Sales Coaches: You need to shut up! If you’re a sales manager who prides yourself on playing the role of a “sales coach,” one of the most important skills is learning to keep quiet. Do you get out in the field with your reps enough? Yes? Great. But what happens when do ride-alongs and do some sales calls together? What kind of quality learning experience is that for the Bob? Hint: Not a very good one. The first rule for sales coaches is to observe current behaviour. You need an accurate picture of what the rep is doing when you’re not there which you will not get if you take over the call. Far too often I see sales manager’s egos get in the way of good coaching. Sometimes it’s not ego as much as the sales manager’s eagerness to help the customer as much as possible that makes it impossible for them to keep quiet. Frequently, sales managers tell me, “I can’t just sit there and be quiet. The customer’s expecting me to say something.” While I agree, you can still keep your conversation to a minimum. If a question is directed at you, simply defer it to the rep by saying something like, “Bob’s probably more up to speed on that than me actually.” And then let Bob take it. I’ve been on calls where the rep has been messing up so badly that I’m practically ready to burst. It almost kills me to keep my mouth shut but I know that I have to. One way of looking at it is this – Bob’s probably messed up a couple dozen calls before this one. What’s one more? You need to have first hand evidence of what he’s doing. Otherwise, you will be coaching in a vacuum. Instead of talking, a much better use of your time is to take a few notes of what Bob did well and what he can do better next time. You’ll not only be able to coach more effectively, but Bob is going to look forward much more to your next coaching session!